The Janome 7034D serger gives you a wide range of serging features in a compact machine. 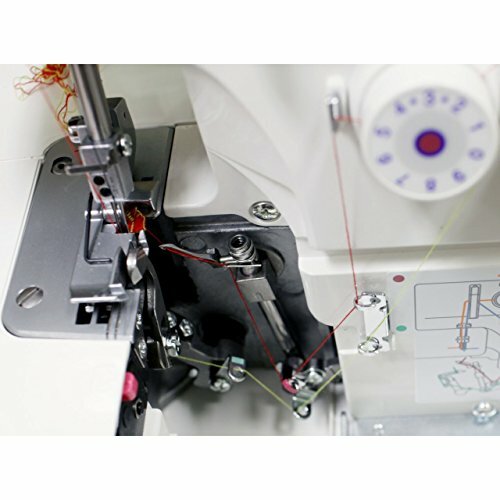 Its sturdy design and precise Janome stitch mechanism ensures beautiful 3 or 4 thread operation. 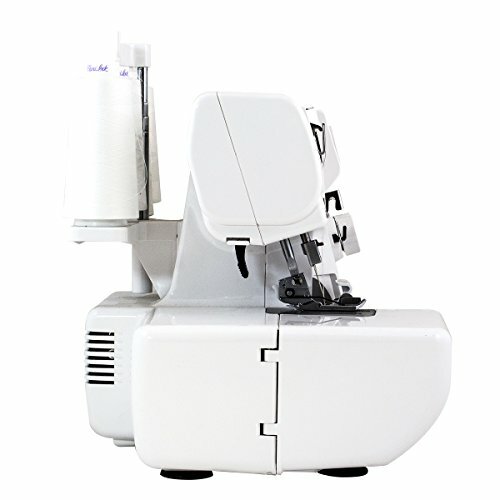 And the machine’s small, compact design makes it an easy fit for your sewing room. The Janome 7034D gives you the Janome quality you know and trust for a professional finish at a very cost-effective price. The cutting width is adjustable from 2.0 to 5.7 mm. The differential feed prevents puckering and stretching, and it can be used for fun special effects. And, the upper knife can be deactivated for decorative sewing. Color-coded paths make threading the Janome 7034D a breeze. Other features include an extra-high presser foot lifter, whisper-quiet operation, and an electronic foot control. 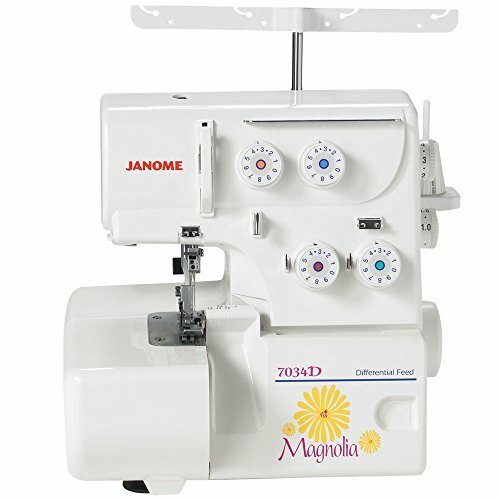 Purchase Janome 7034D Magnolia 3&4 Thread Overlock Serger at Discounted Prices ✓ FREE DELIVERY possible on eligible purchases. 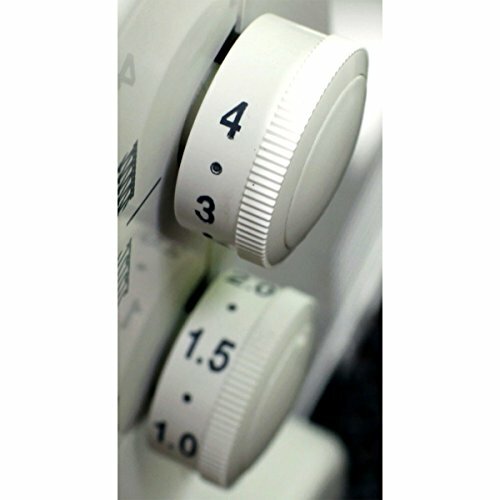 Cutting width adjustment dial and much MORE! The Janome 7034D serger gives you a wide range of serging features in a compact machine. 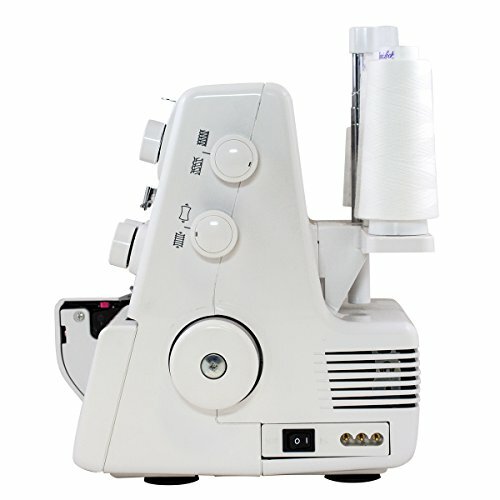 Its sturdy design and precise Janome stitch mechanism ensures beautiful 3 or 4 thread operation. 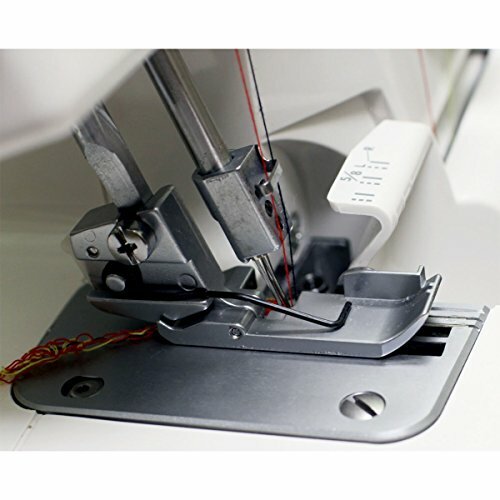 And the machine's small, compact design makes it an easy fit for your sewing room. The Janome 7034D gives you the Janome quality you know and trust for a professional finish at a very cost-effective price. The cutting width is adjustable from 2.0 to 5.7 mm. The differential feed prevents puckering and stretching, and it can be used for fun special effects. And, the upper knife can be deactivated for decorative sewing. 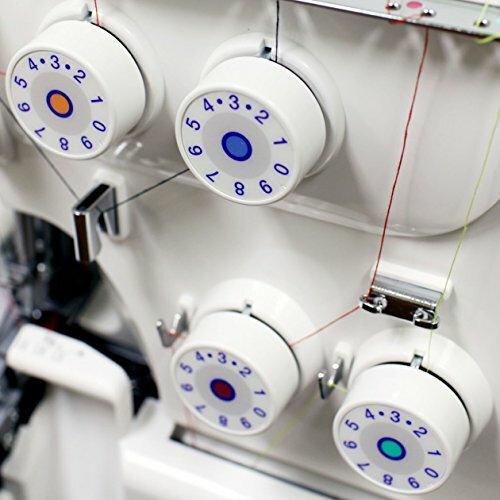 Color-coded paths make threading the Janome 7034D a breeze. Other features include an extra-high presser foot lifter, whisper-quiet operation, and an electronic foot control.